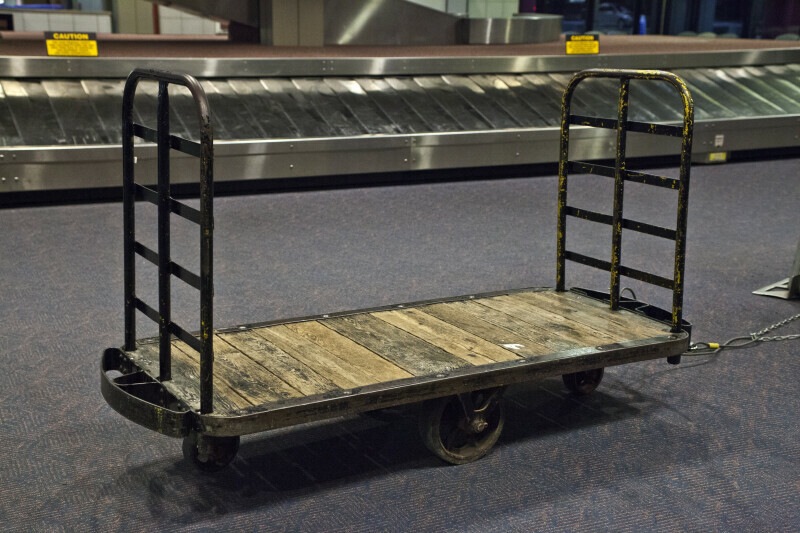 This picture shows a dolly near a luggage pick-up station at Pittsburgh International Airport. Luggage is transferred onto the dolly and then transported, allowing many bags and suitcases to be carried at once. WARNING: You are about to download a 32.5 MB TIFF!